I am interested in the photographic surface as an image and object concurrently and how it can be used to explore and embody philosophical concepts such as the nature of being, agency and the creation of difference. Through it’s apparent indexicality photography has always been synonymous with the past. It could be said that photographs exist both in the past and present and it is this twisting of time that is at play in this series Flowerballs. I have used flowers as the subject for these works as they are largely seasonal plants and their blooming can be a great marker of time. They point to the cyclical nature of life and are a reminder of the temporality of our existence. 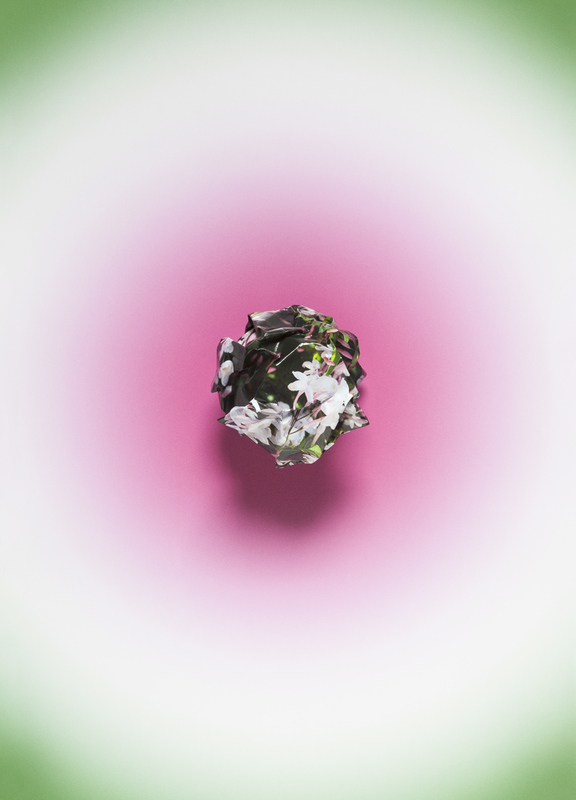 The Flowerball images were created by crumpling a photographic print of flowers into a ball and then re-photographing it against an hypnotically coloured background. 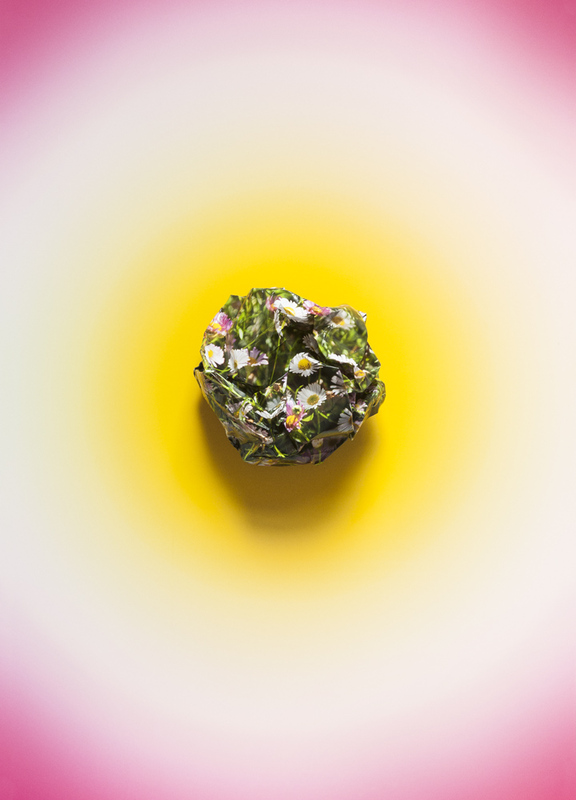 The result is an image of a flower-like object that is neither photograph nor sculpture. It is an ‘opaque’ image and as such hovers between representation and abstraction, past and present without landing on either.